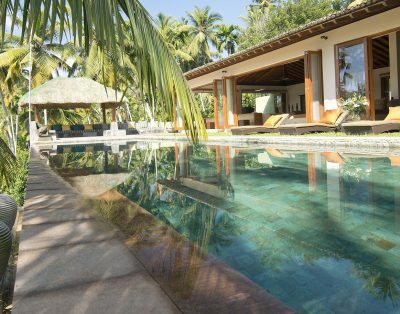 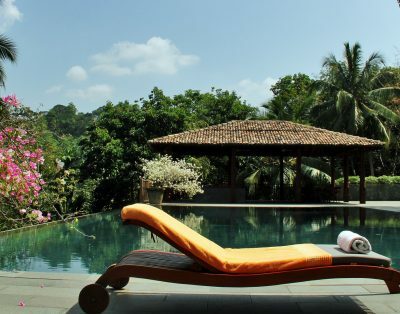 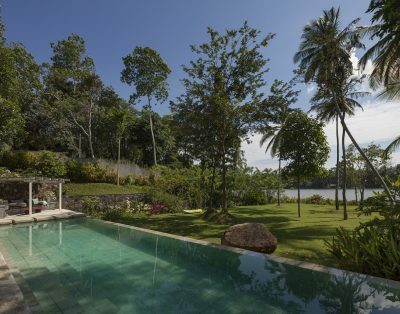 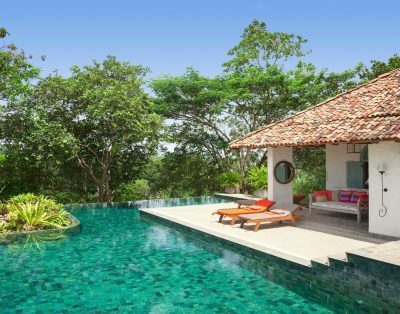 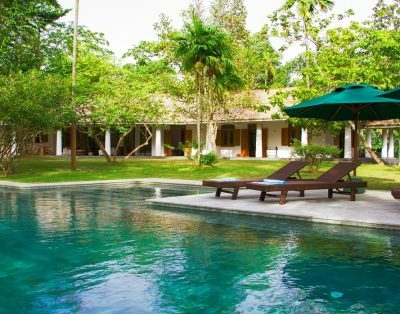 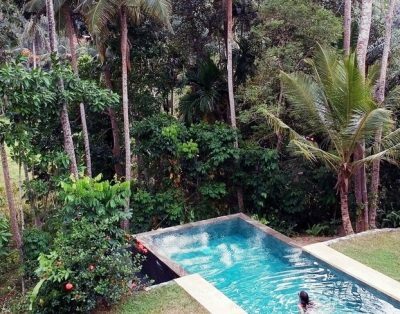 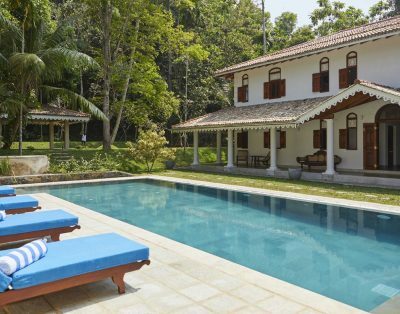 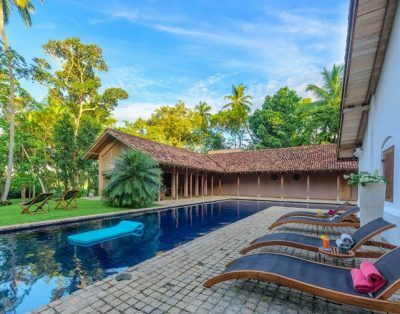 The list below shows our selection of best inland Villas in Sri Lanka. 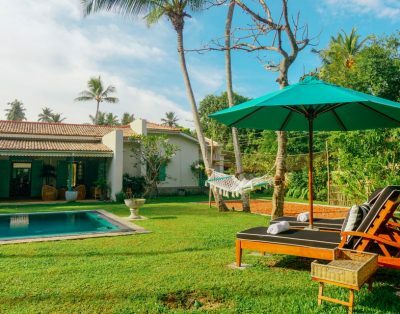 Some Villas are located only a 5-minute walk or bicycle ride to the closest beach, while others are more immersed in nature and you can rent a tuk-tuk that will take you to the most beautiful beaches in the South Coast of Sri Lanka. 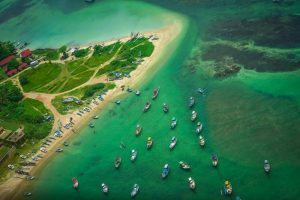 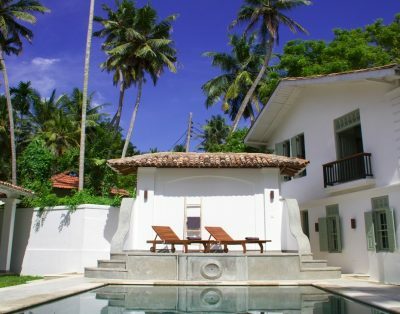 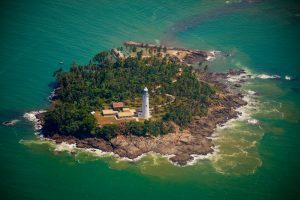 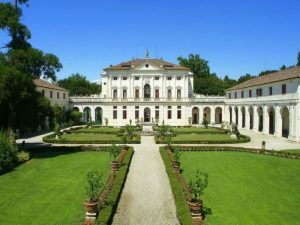 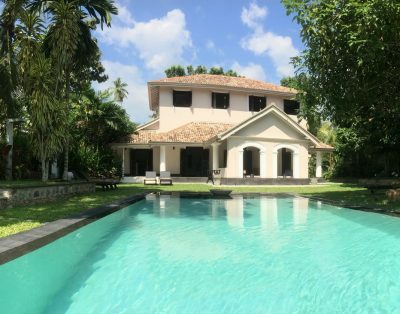 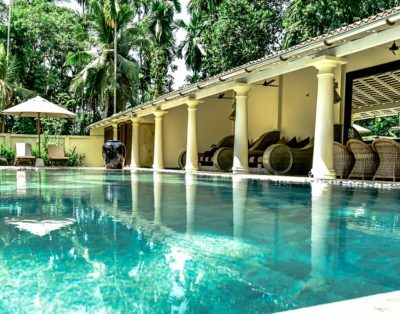 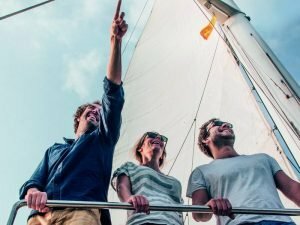 Why renting a villa near the beach in Sri Lanka? 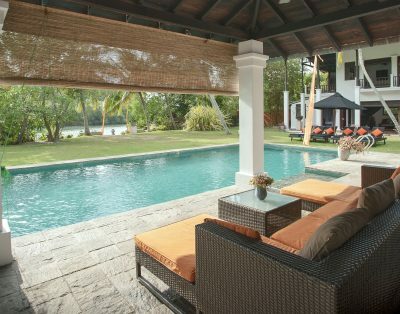 Sometimes villas near the beach in Sri Lanka are cheaper than the beachfront villas but also have other advantages: the strong winds of the sea (especially during off season) do not hit directly the property. 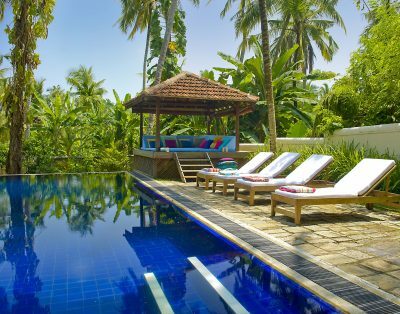 Inland Villas are located in lush tropical gardens, with an amazing biodiversity or with stunning views over paddy fields. 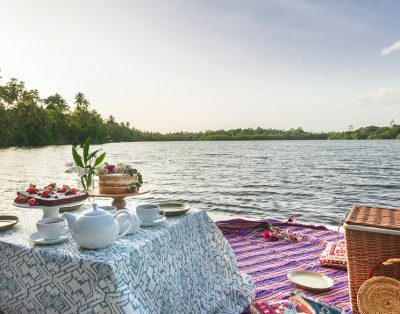 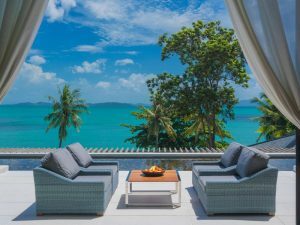 Moreover, inland villas near the beach have the advantage to be more peaceful: surrounded by nature and local fauna, very rarely you will hear the noise of the busy southern coastal road or tuk tuks from the Village. 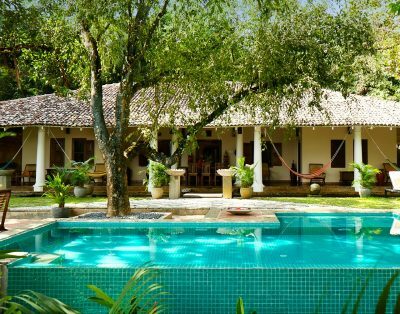 Inland villas are the perfect choice for yoga and meditation retreats in Sri Lanka or for those looking for a complete relaxing holiday. 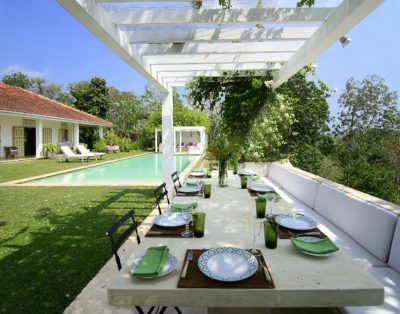 Find your Villas near the beach in Sri Lanka. 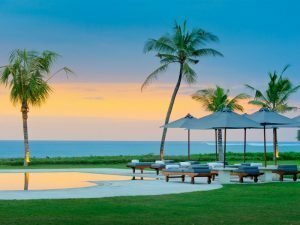 Use the drop-down menu below and filter by budget.